This past Sunday I volunteered to bring “something sweet” as my contribution to a brunch that was going to have a south of the border kind of feel. 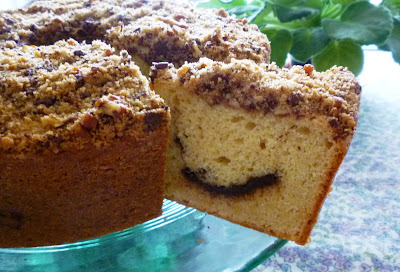 As I thought about what to bring, I decided I wanted to bring a big sour cream streusel coffee cake (doesn’t everyone likes sour cream coffee cake?). I wanted the cake to feature the Mexican flavor combination of cinnamon and chocolate….with pecans… and I wanted a cake that was baked in a large tube pan so guests would be able to help themselves to a thin sliver….or a big fat chunk. As I looked through my recipe files and cookbooks, I was unable to find one that matched what I had envisioned (…surprising when you consider that neither my recipe file, nor my cookbook collection, is particularly small….). Ina Garten’s Sour Cream Coffee cake from Barefoot Contessa Parties was a possibility. 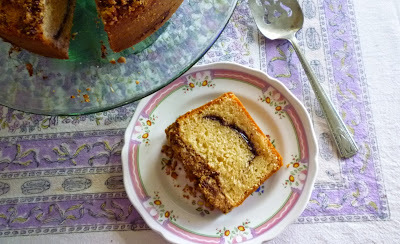 It is a big tube cake….and includes a streusel….but has no chocolate. 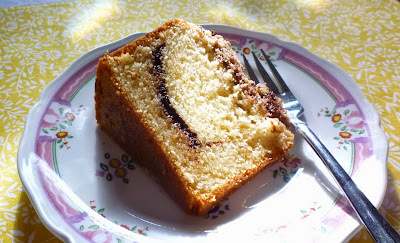 I was also intrigued by Claudia Fleming’s Chocolate Marble cake in Rose Beranbaum’s Rose’s Heavenly Cakes. 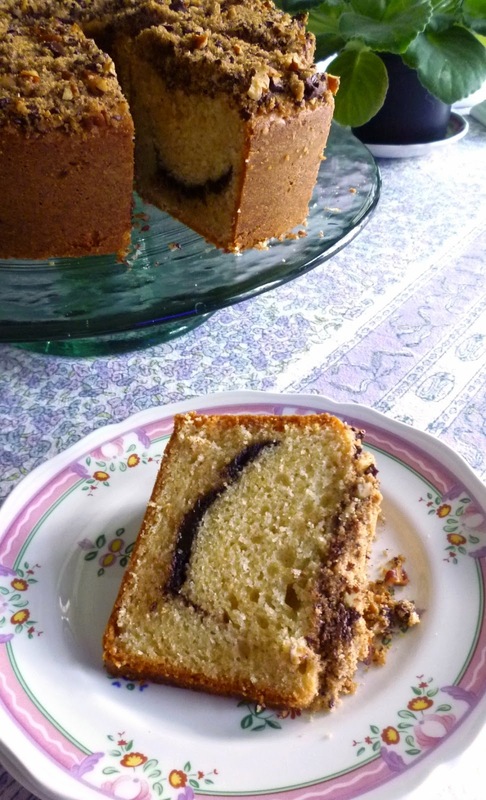 This one is a small sour cream bundt cake (alas, without streusel) that features a ribbon of soft cinnamon scented chocolate running through the middle of the cake. Neither was exactly the cake I was looking for, but of the two, I was more drawn to Fleming’s cake. The cake batters are actually nearly identical, but Fleming’s has a higher percentage of sour cream and a lower percentage of egg. These proportions make for a softer crumb…which is what I wanted. In the end, because I wanted a tad more structure to support a streusel, I made a cake that struck a balance between Garten’s and Fleming’s: more egg than Fleming’s, but less than Garten’s…and more sour cream than Garten’s, but less than Fleming’s. And I have to say that I really liked the resulting cake (as did everyone at the party!). It is tender and slightly soft…but still has the nice, neatly sliceable crumb one expects of a sour cream bundt/tube-style cake. The mixture of cocoa and brown sugar that makes up the marbling liquefies in the oven and stays soft even after the cake has cooled. It is an unusual and delicious addition. 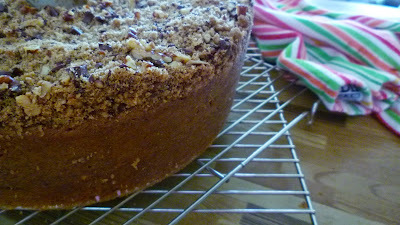 The streusel that I added...adapted from another cake in Beranbaum’s book… is somewhat of a revelation. If you have made streusel-topped coffee cakes, you know that sometimes the streusel sinks into the cake a bit. Or the cake doesn’t rise as much in the center as it does on the edges. With this cake, neither of these things is a problem because the streusel isn’t added until the cake has been in the oven for half an hour. At that point, the cake has enough structure and loft that it doesn’t sink under the added weight of the streusel. Furthermore, just enough of a crust has formed on the cake that the streusel adheres, but doesn’t penetrate into the cake itself. I was skeptical about the streusel having enough time in the oven to brown properly. But I was pleasantly surprised. The streusel crisped nicely and turned a lovely, golden brown. Since I am a firm believer that one can never have too many recipes for coffee cake, I am so pleased to add another “keeper” recipe to my file. 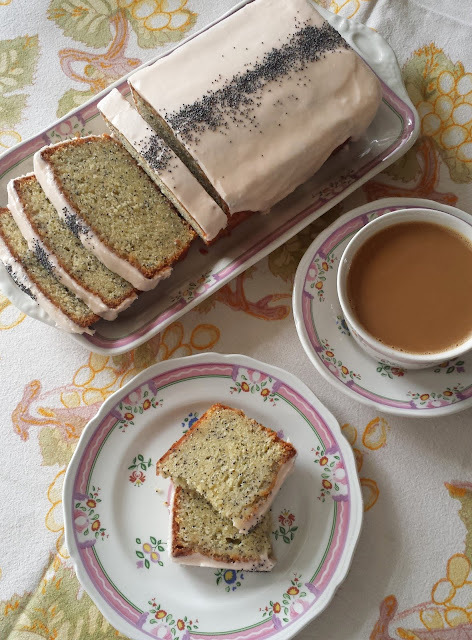 Because it is baked in a large tube pan, it makes a cake that is big enough to feed a crowd…and beautiful enough to set out on a buffet. And while I love the flavor combination of chocolate, cinnamon and pecans (it was perfect for the brunch), I have no doubt that other combinations of flavors (different nuts, dried fruits, zests, other spices…) will make an appearance in future renditions of this cake. Preheat the oven to 350°. Butter and flour a 10-cup capacity tube pan. Set aside. Combine the first three ingredients in a small bowl and set aside. Combine the flour, salt, baking powder and baking soda in a small bowl and whisk to blend. Set aside. Cream the butter and sugar until light and fluffy—this will take 3 to 5 minutes at medium-high to high speed. Stop the mixer and scrape the bowl occasionally. Beat in the vanilla. Beat in the eggs, one at a time, scraping down the bowl in between each egg and waiting until the previous one is fully incorporated before adding the next. Stir in a third of the flour mixture. Stir in half of the sour cream. Fold in half of the remaining flour, followed by the remaining sour cream, followed by the remaining flour mixture. Dollop half of the batter (about 625 g) into the prepared pan. Use a spatula or palette knife to spread evenly so that the bottom of the pan is fully covered. Sprinkle the brown sugar-cocoa-cinnamon mixture evenly over the batter, leaving a quarter inch border of batter showing on both the inner edge and outer edge. Dollop the remaining batter over all and spread to smooth out, making sure all the cocoa mixture is covered. Place in the center of the preheated oven and bake for 30 minutes. While the cake bakes, make the streusel (or, you may make it ahead and set it aside). Combine the brown sugar, flour, cinnamon and salt in a small bowl and whisk to blend. Rub in the butter until well distributed. With a fork, fluff in the chocolate and pecans. If the room is very warm, store in the refrigerator until ready to use. and quickly scatter the streusel evenly over the cake—a large spoon or a measuring cup makes this easier. Or, place all the streusel in a sheet of parchment and use it as a make-shift funnel to quickly and evenly strew the streusel over the cake. However you choose to do it, work quickly and hold the spoon, measuring cup or parchment funnel close to the surface of the cake so that you can lay the streusel down lightly on the surface (rather than dropping it heavily from height). Return the cake to the oven and continue to bake until the cake is golden brown, springy to the touch and a toothpick inserted in the center comes out clean….another 20 to 30 minutes. Let the cake cool for 20 to 30 minutes before running a spatula around the outer edge and removing the sides from the pan. Let the cake cool completely before attempting to remove the center ring of the pan. Makes one large cake, serving about 16 people. In one photo the chocolate swirl is smiling, "make me...eat me...I'm delicious!" No doubt!!! I'll be making this, Paige! Thank you for a lovely post! Made the passion fruit ice cream! Divine!